Creative Cake Pops : FREE Craftsy Class! Look!! There’s a new Free Craftsy Class: Creative Cake Pops! Well, I say it’s new… I haven’t seen it before today, so it’s new to me! Create luscious, gorgeous cake pops with Wilton decorator Valerie Pradhan. Start by mixing the base, forming the pops and adding lollipop sticks. Then, dip your pops in melted candy to achieve a perfectly smooth coating and colorful effects. Decorate your pops with swirling sprinkles, impressive marbling and tempting drizzled candy. Add lustrous color to your treats with Wilton’s Color Mist™ food color spray. Combine icing flowers and piping techniques to create gorgeous garden scenes on your pops. Pipe scrollwork for a sophisticated touch or animal prints for a playful look. Add elegant detailing with brush embroidery. Build layered ombré ruffles and elegant rose designs using candy clay. Create fun, scrumptious treats for birthdays, showers, weddings and more. 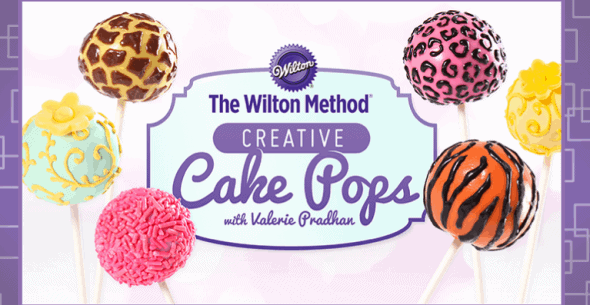 Learn how to make cake pops with The Wilton Method®. Did you know Craftsy offers Free Mini Classes? You can see them all by clicking here (scroll to the bottom)! If you’ve have’t already taken it, there’s also the Free Modern Buttercream Class that I’ve already told you about! I’ve taken that class and it’s loaded with great tips and pointers for pulling off some popular modern buttercream designs! I’ve wrote about this class here… hop over and read for more details. The other one I wanted to mention is The Hand-Painted Cake. 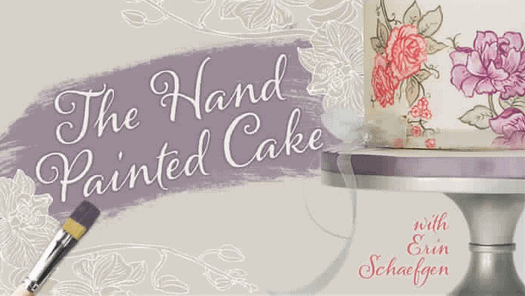 This is a popular trend right now and I’ve seen so many beautiful hand-painted cakes. That class is already in my library… I just haven’t watched it yet (as I mentioned here… I have quite a few that I haven’t watched yet!). Oh, oh, oh… there’s one more free class I almost forgot to mention… Basic Fondant Techniques with Elisa Strauss! Wanna see how I do cake pops? Check out my tutorial here: How to Make Cake Pops! Remember…. 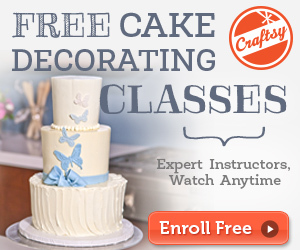 with Craftsy, you sign up for the classes and then watch them at your convenience…. at home, on you computer, in your PJ’s … oh wait – is that just me? 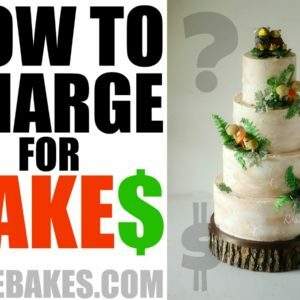 😉 The point is… you can learn more about cake without ever having to go anywhere…. isn’t that fun? Okay – so go sign up now and let me know what you think! Thanks for the info. Running over to sign up. Love their classes! it goes to shrl.com everytime I try! Shareasale.com is the affiliate company that I work through. The links are shortened but they all directed to Craftsy and the free Cake Pops class. Thank you for introducing me to craftsy!!! Enrolled on several courses now – including the free fondant one! Thanks.